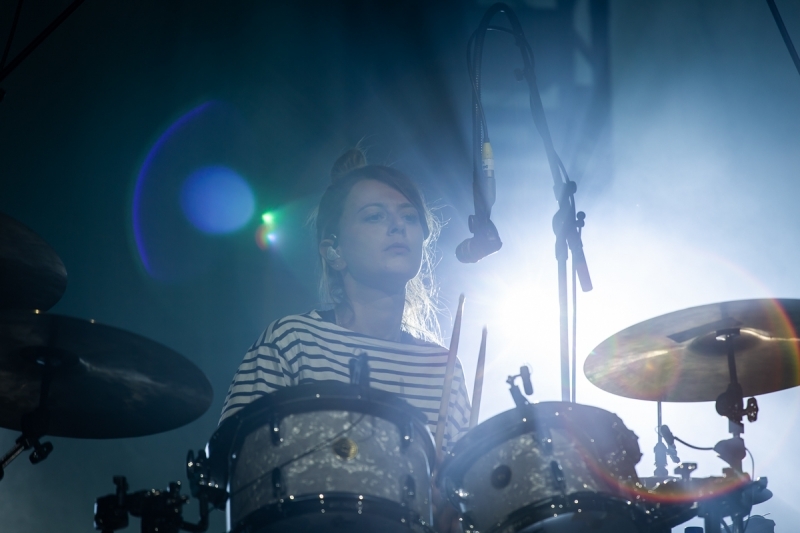 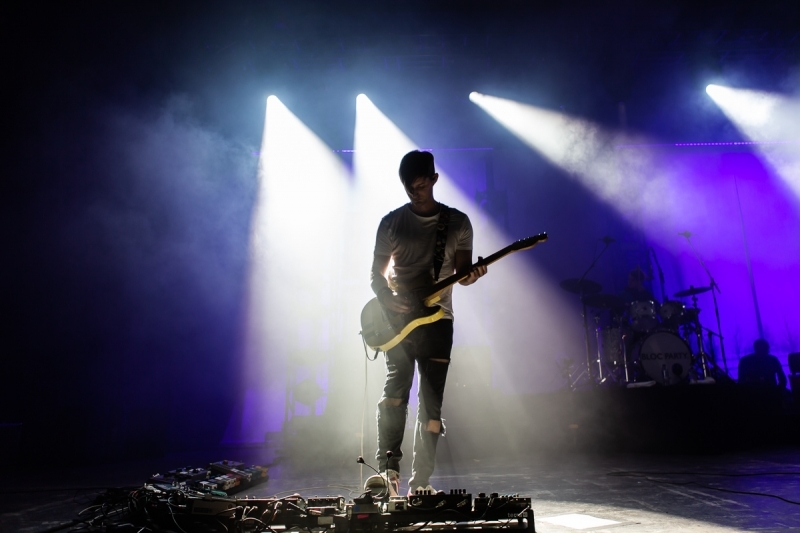 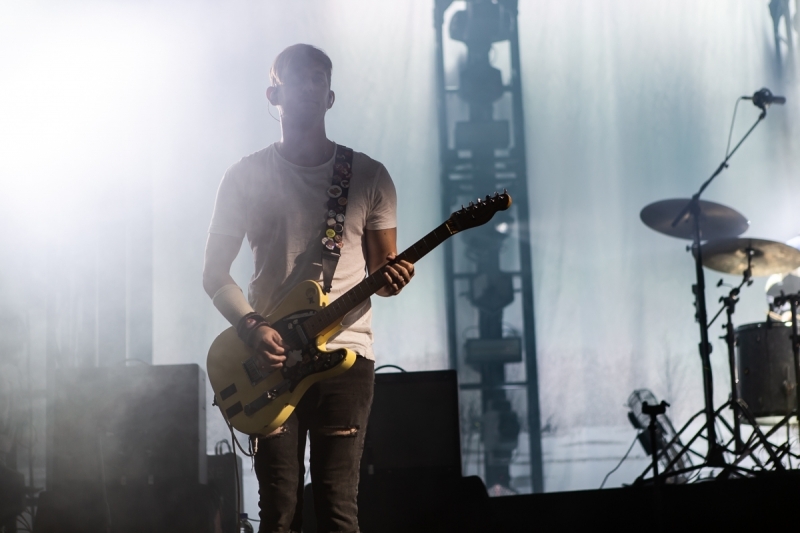 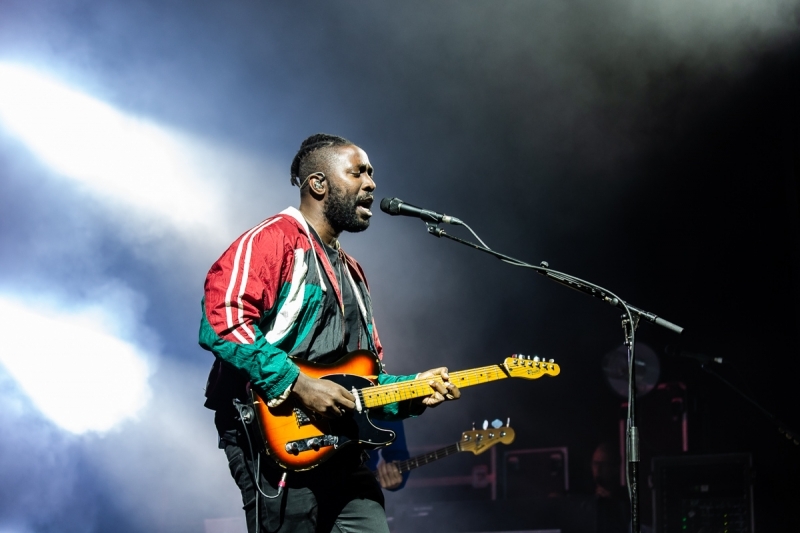 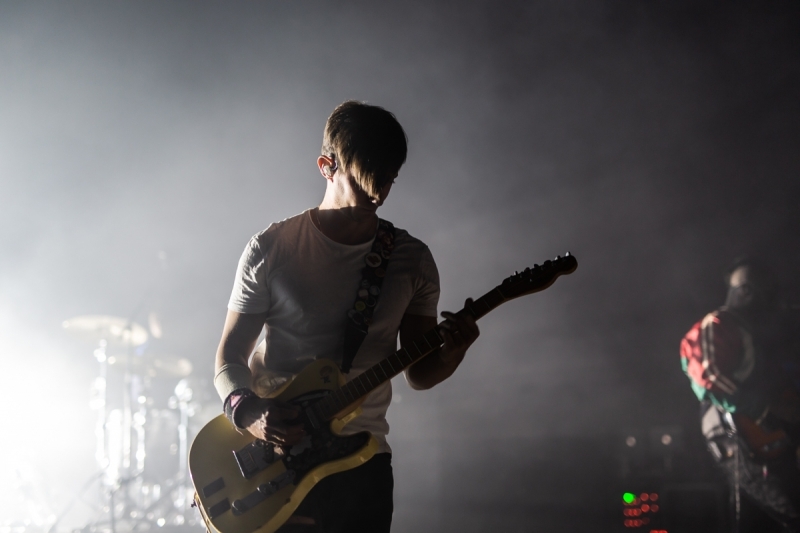 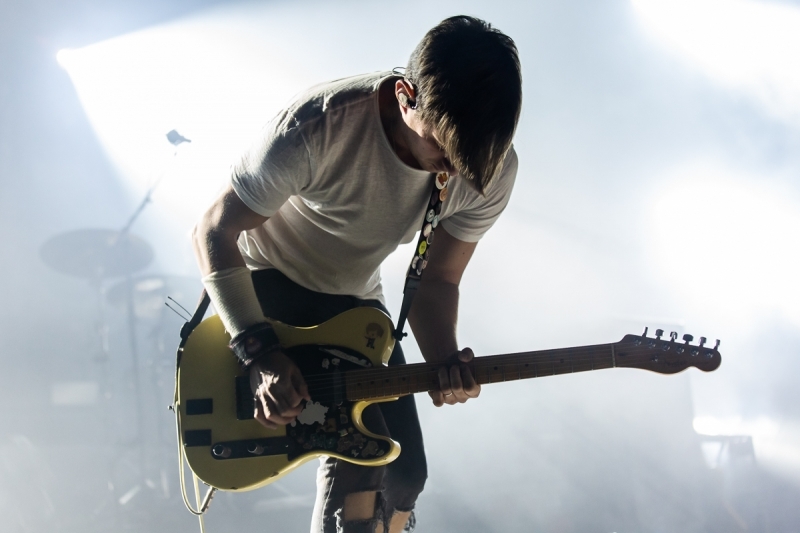 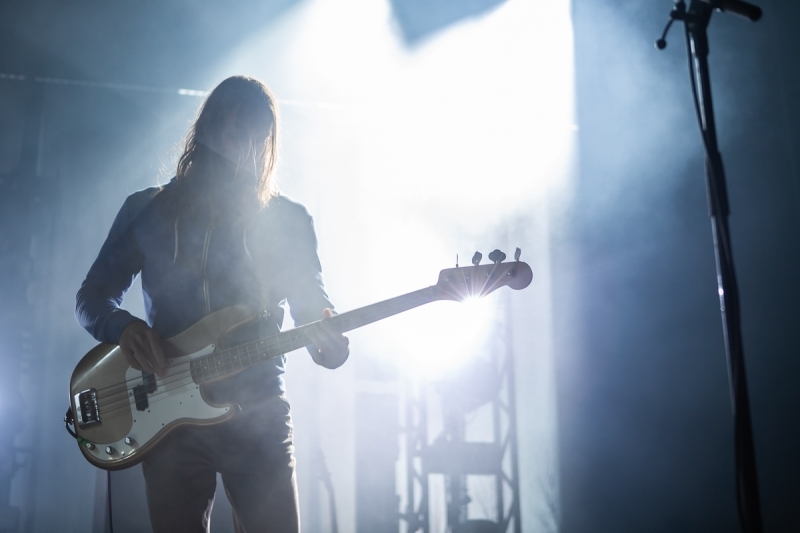 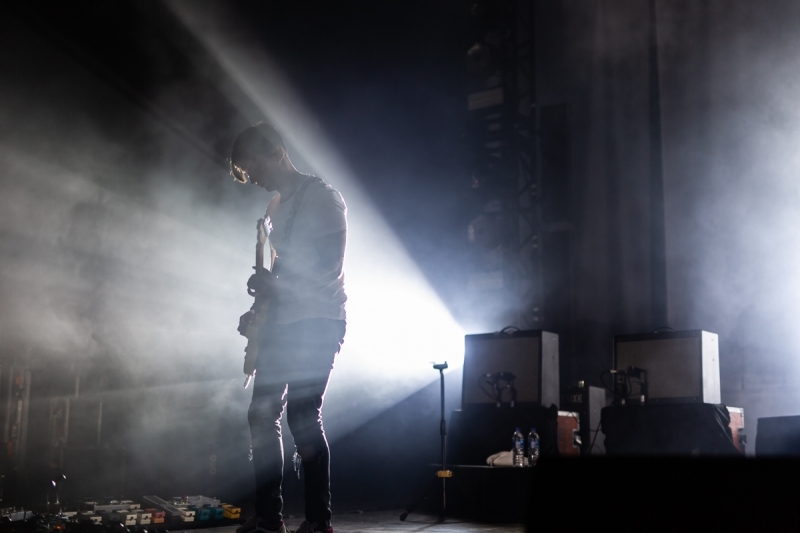 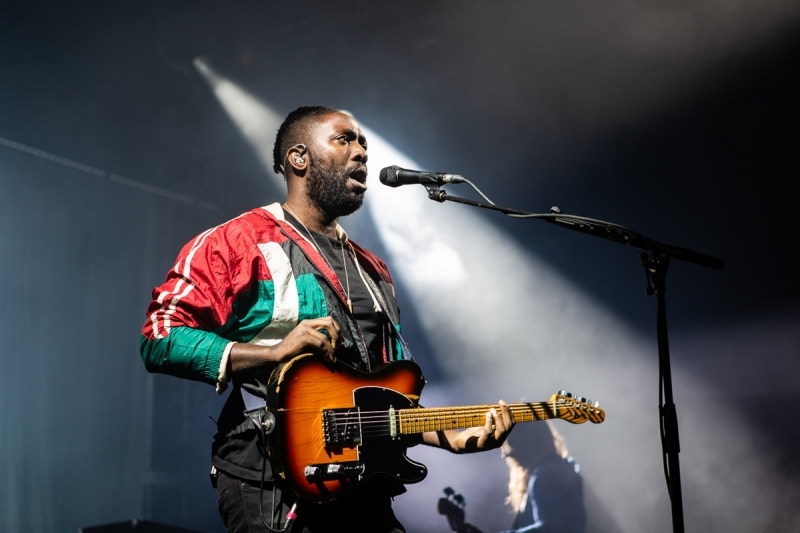 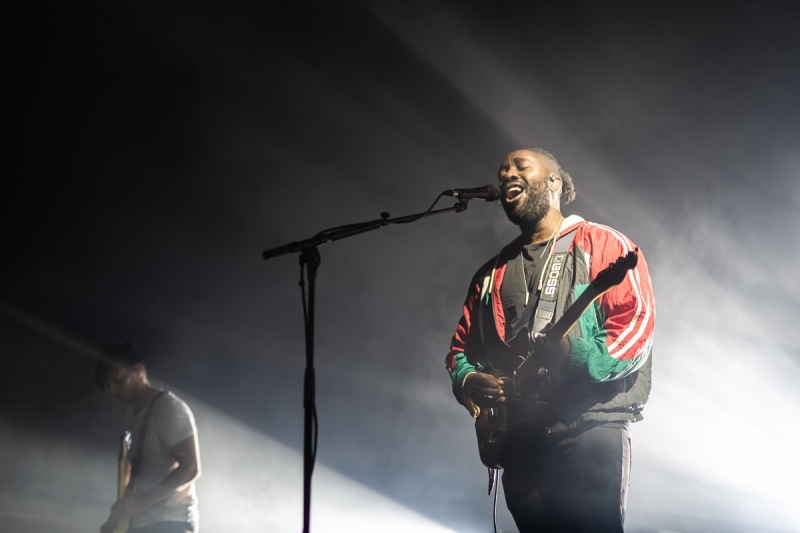 In 2014 on the eve of the 10 year anniversary of their debut album, Bloc Party’s Kele Okereke was quoted as saying that he saw bands touring on record anniversaries as being “a little bit cynical”, and that he was “not so interested in looking backwards”. 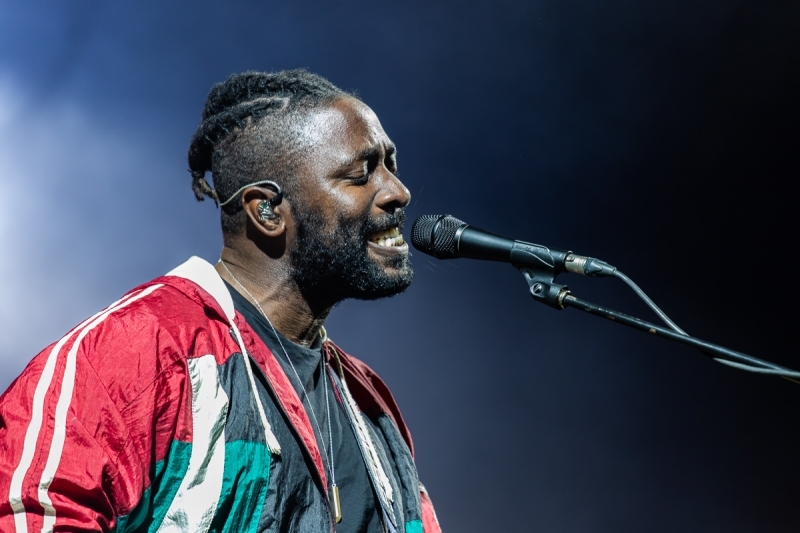 Fast forward through four turbulent years and here we are, watching Bloc Party on the second night of their Australian tour, performing ‘Silent Alarm’ in its entirety as a preview to the 2019 release of ‘Silent Alarm Live”. 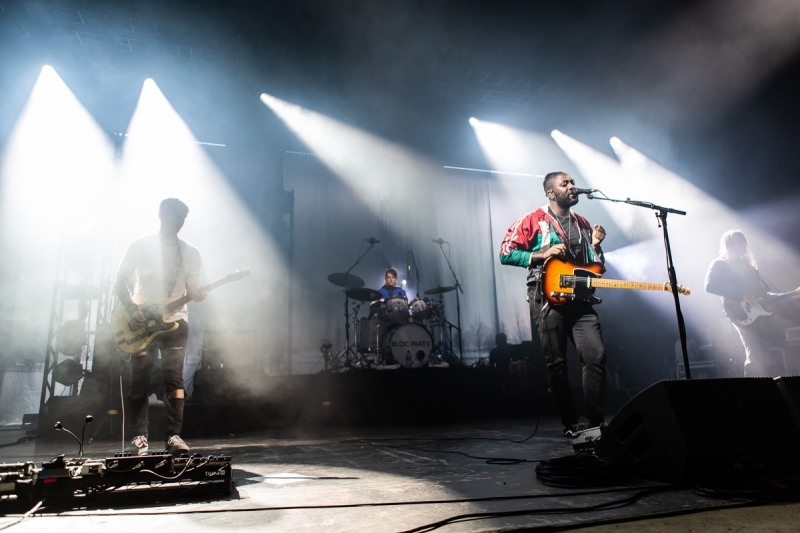 Openers Haiku Hands were a surprise package and definitely not a predicable choice to support a rock band like Bloc Party. 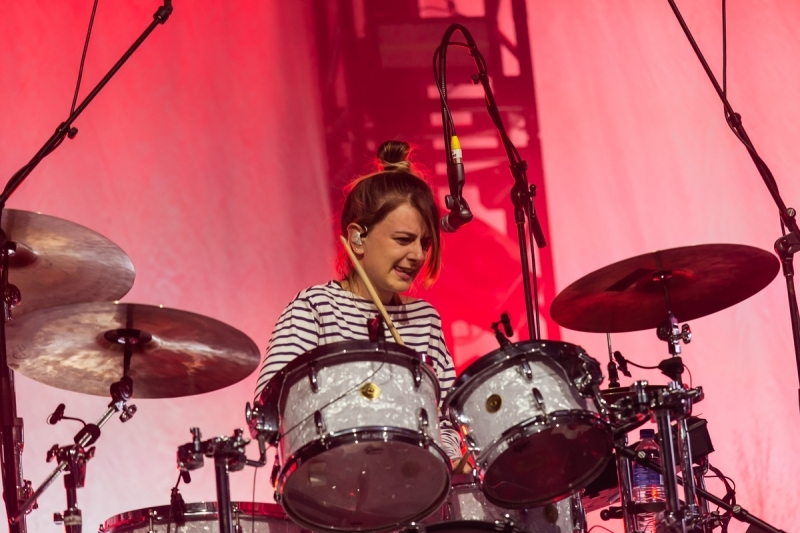 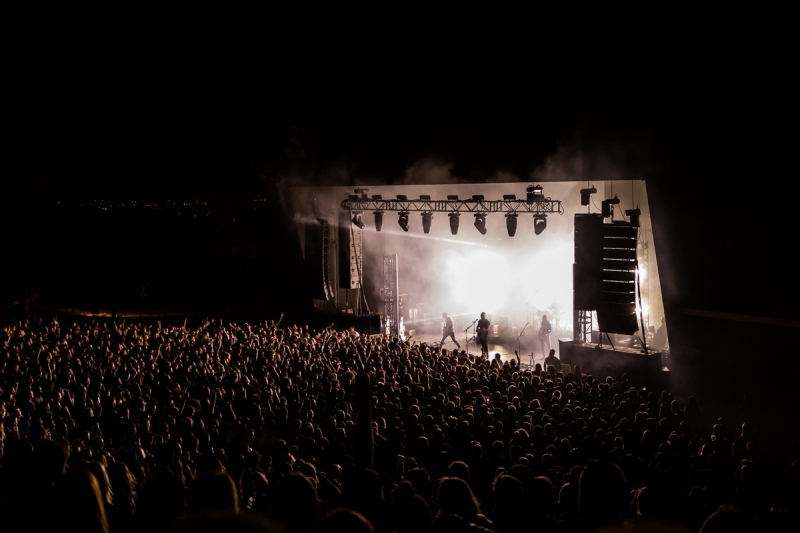 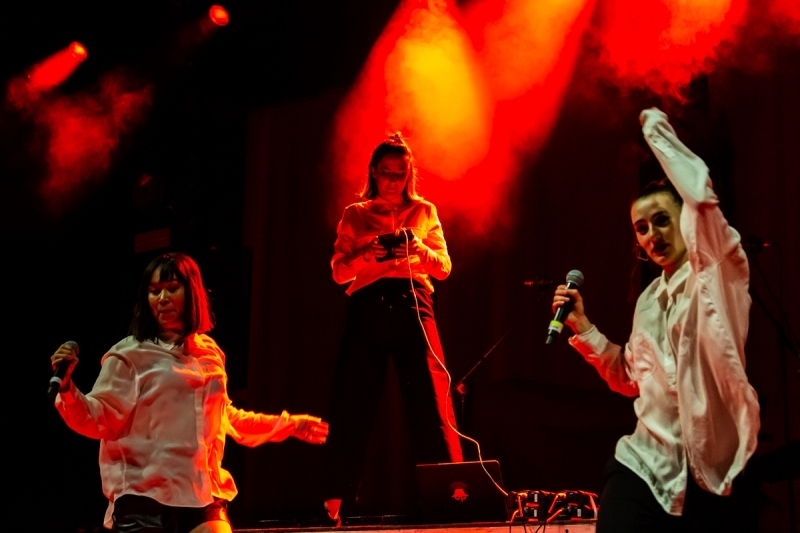 The foursome were tasked with pulling the Perth crowd down from the upper levels of the Red Hill auditorium on to the floor, and they did this with their energetic mash up of dance, electronic, hip-hop and disco. 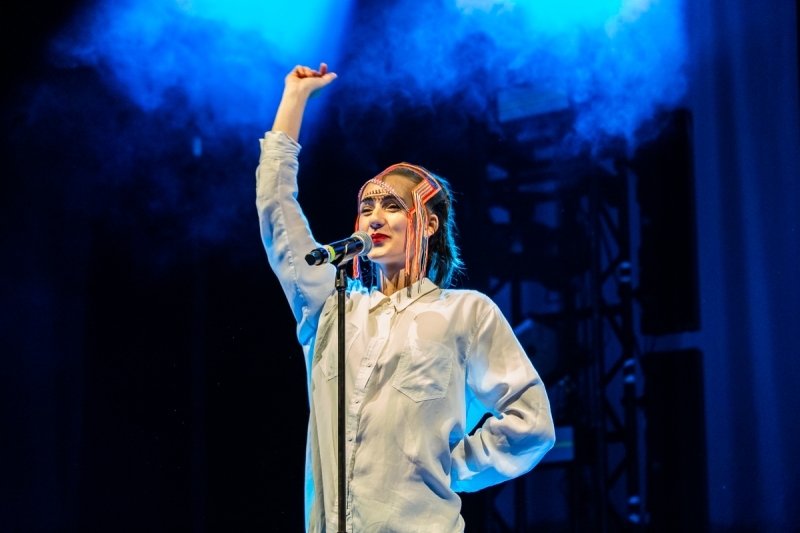 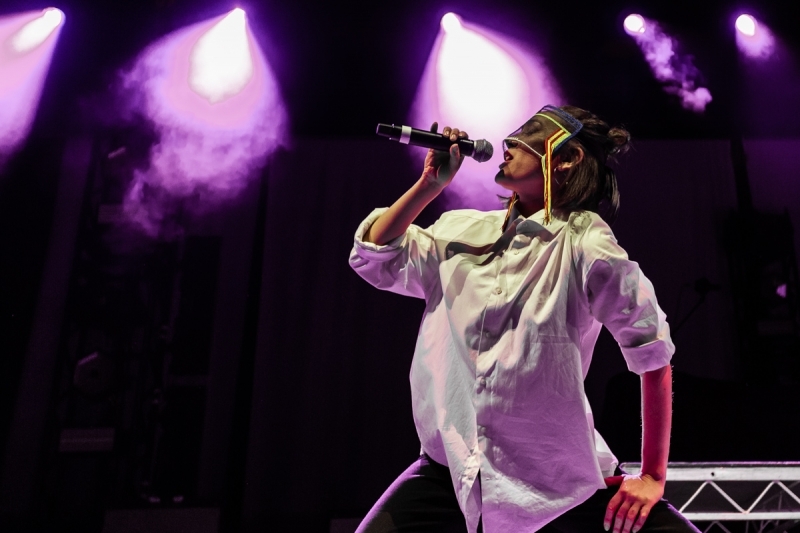 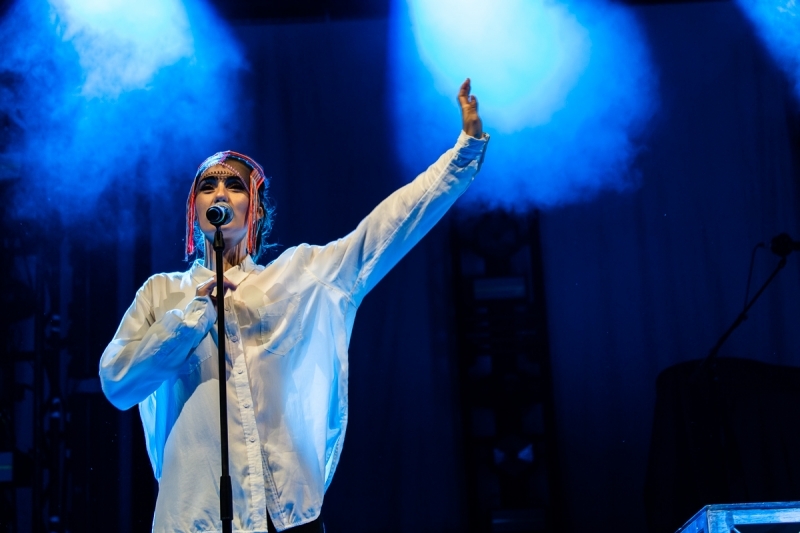 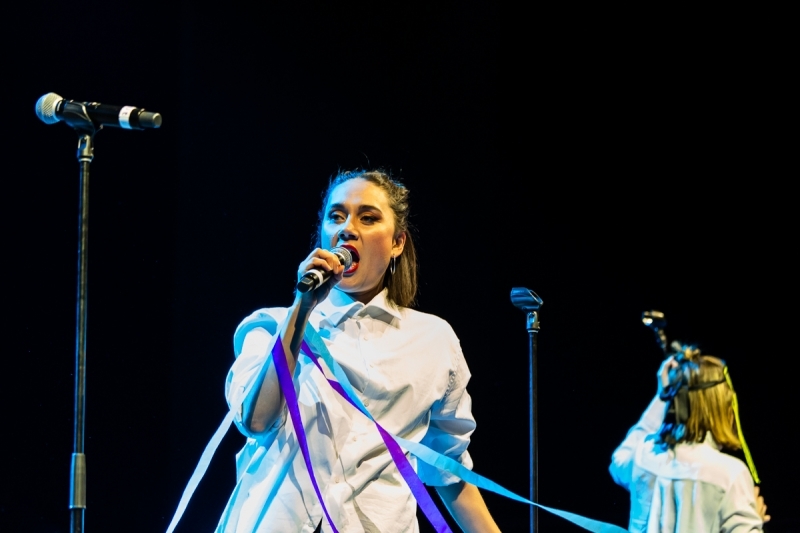 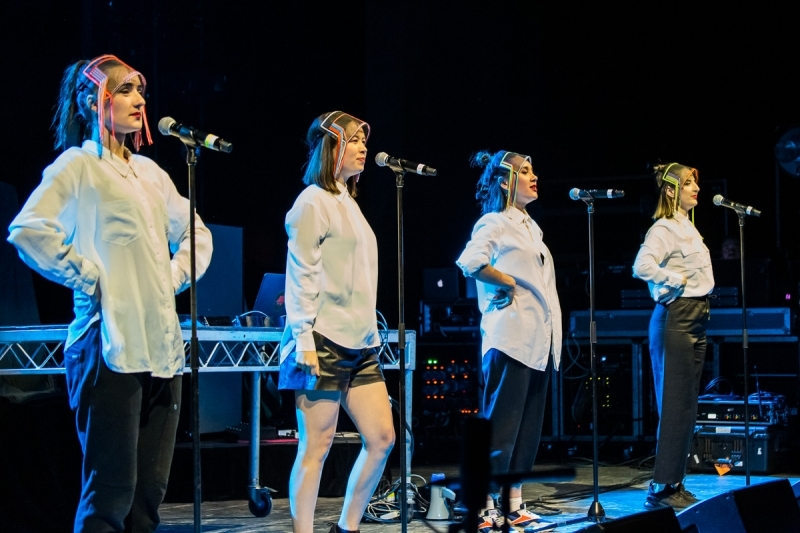 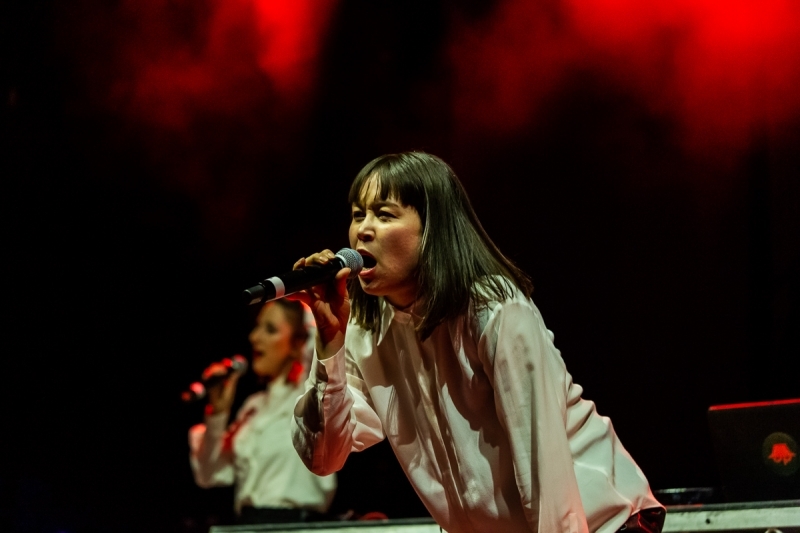 Big beats and heavy bass boomed out as the collective delivered an energetic lyrical feast, encouraging punters to get rowdy as they bounced vocals off each other and danced around, turning the auditorium into an upbeat party. 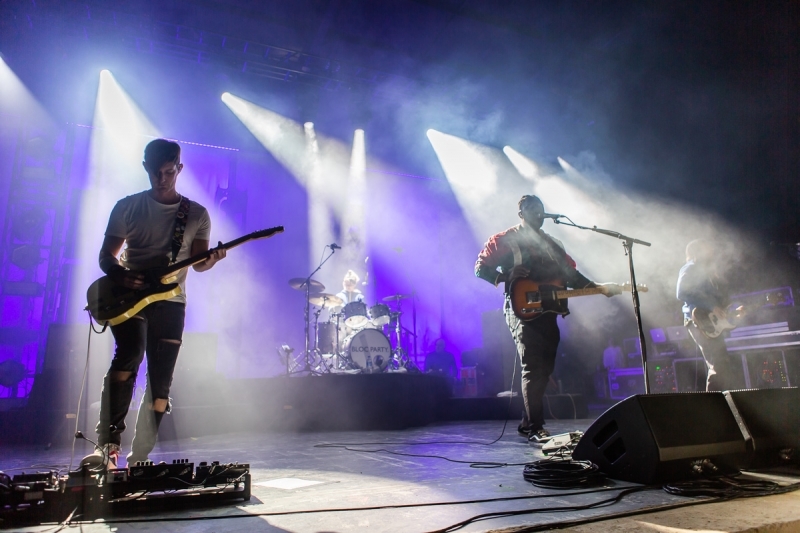 There’s sure to be more than a few people heading to see them on their headline tour next year off the back of this show. 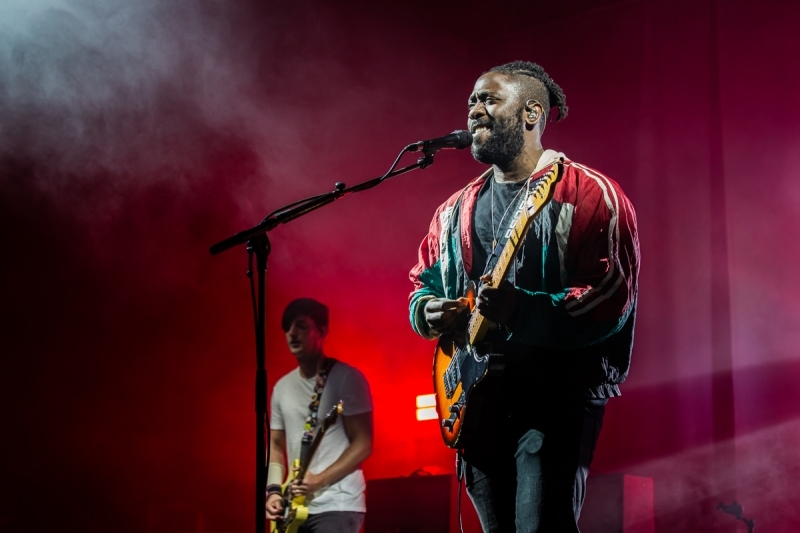 Silent Alarm was a massive debut for Bloc Party, reaching number 3 on the UK charts, and as testament to their popularity in Australia, they had four songs in JJJ’s Hottest 100 in 2005, more than The White Stripes, Franz Ferdinand and Foo Fighters and only topped by Wolfmother for the number of entries that year. 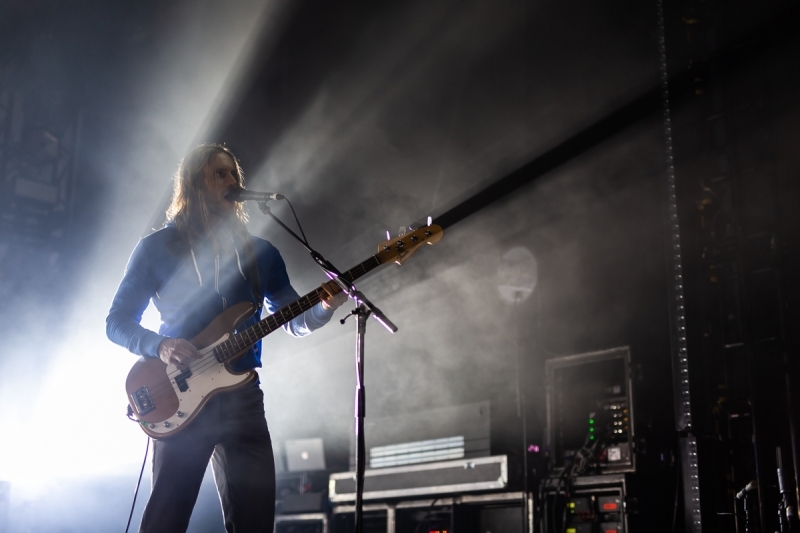 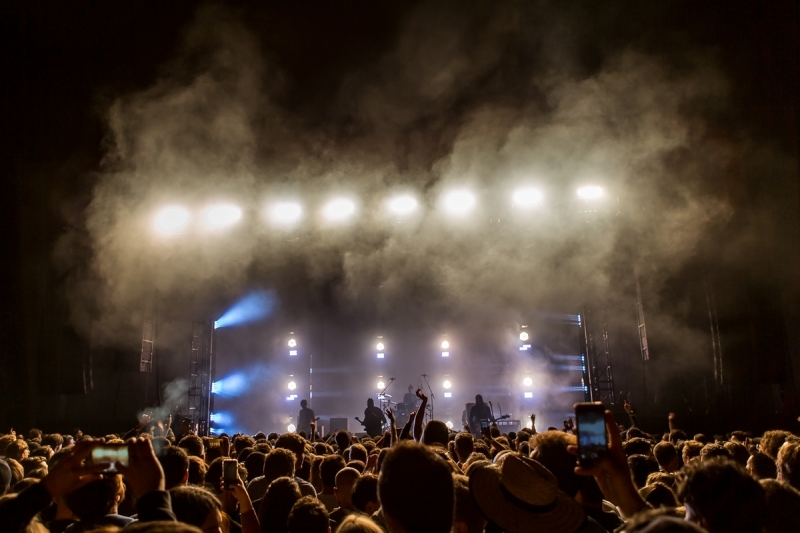 When the stage lights dropped, anticipation spread as the crowd waited for the first notes of album opener ‘Like Glass’ ring out, only to be surprised instead to hear the last track on Silent Alarm ‘Compliments’ as the band flipped the standard on its head and played the seminal album in reverse. 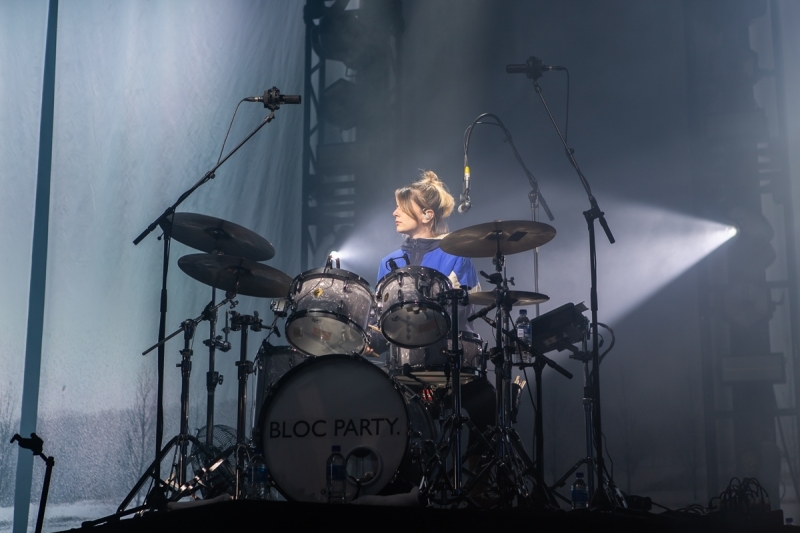 An interesting twist, it let the night build rather than launching straight into the bigger songs early and then winding down as the album progressed. 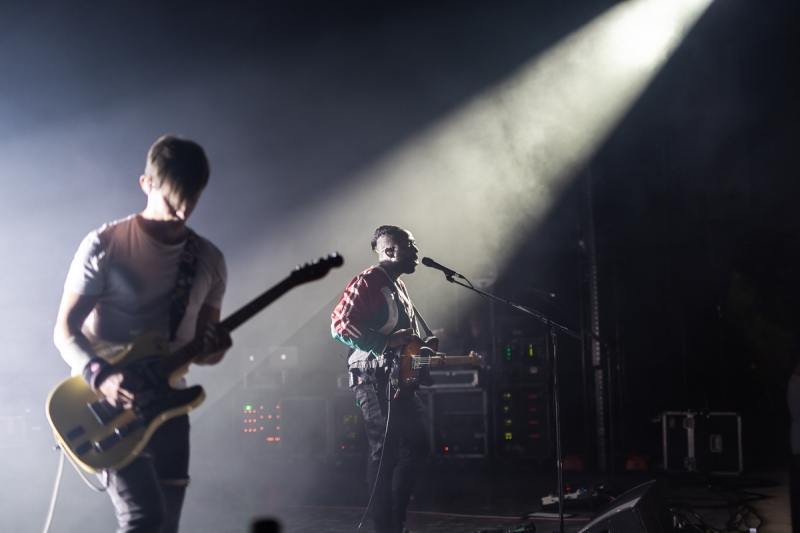 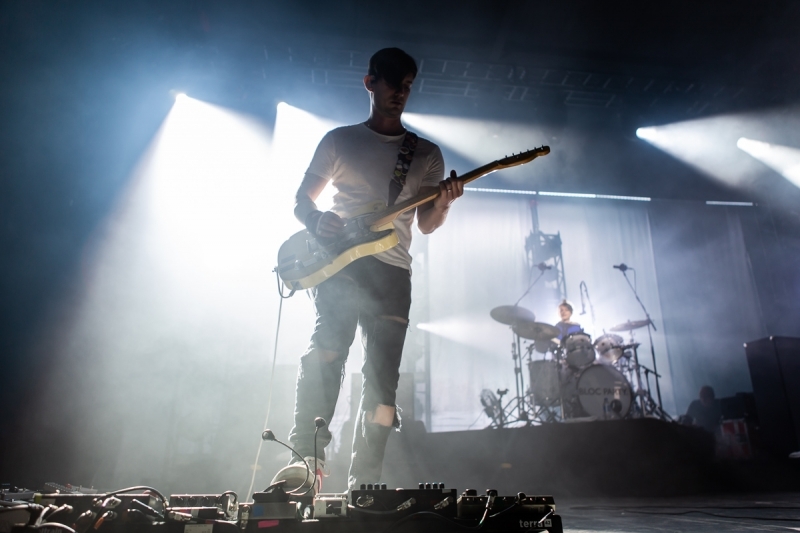 Not thrown by this reversal, the now packed auditorium was hanging on every note from the outset as the band delivered renditions of ‘Compliments’, ‘Plans’ and ‘Luno’ that showed that they had lost nothing in the years since the songs were first recorded. 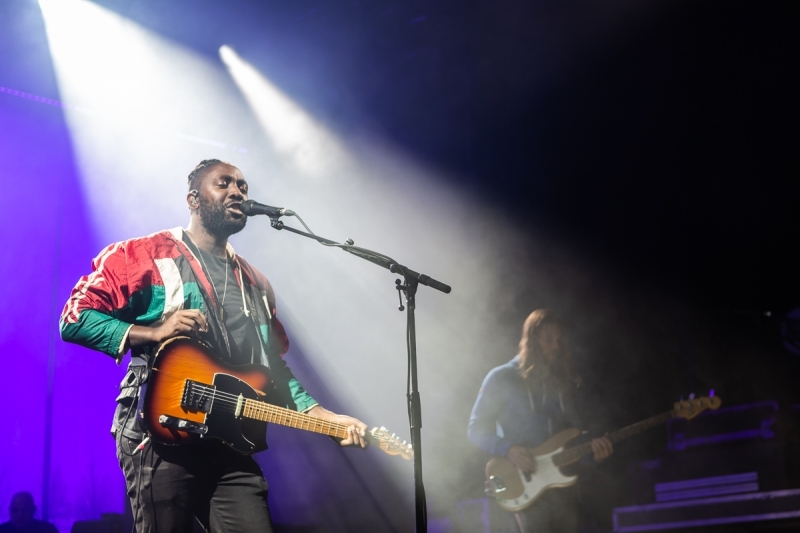 Lead vocalist and guitarist Kele Okereke interacted with the crowd early on, even thanking the photographers as they left the pit after the third song (a rare but very nice touch) and expressing his disappointment that the Perth hills night wasn’t the warm Australian summer he was expecting. 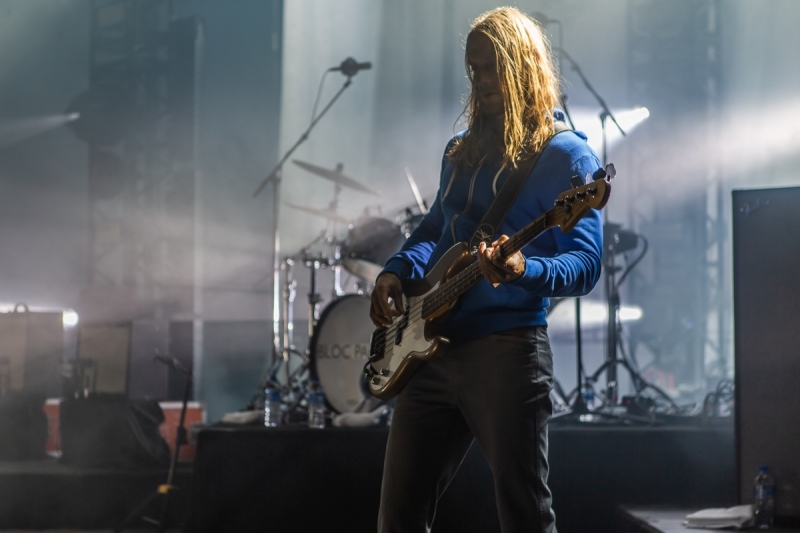 Playing with only half of the lineup that originally recorded the album, newer band members, bassist Justin Harris and drummer Louise Bartle, slotted in seamlessly, Bartle in particular is a powerhouse on the drums, laying down an incredibly tight beat for the band to work off. 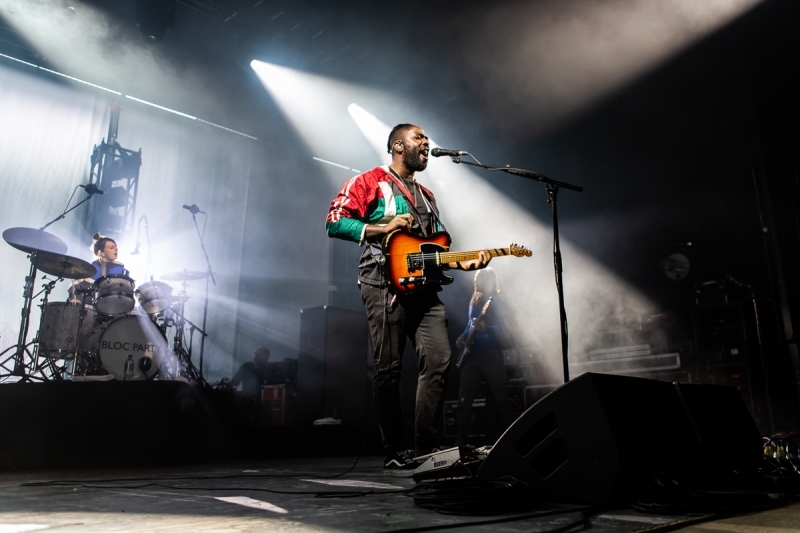 Okereke delivered his mix of preaching and singing as strongly as ever and original guitarist Russell Lissack has been doing this long enough to more than know what he is doing, both as a musician and performer. 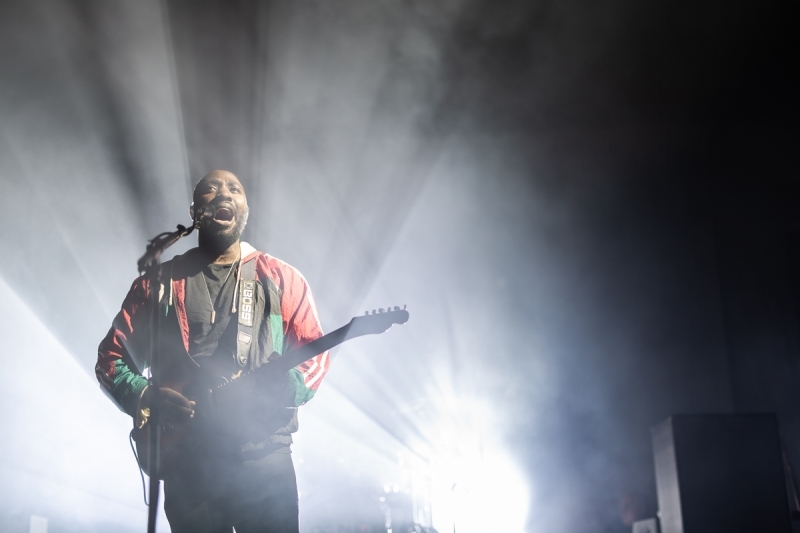 As the evening progressed you could see this was an album that a lot of people were extremely passionate about. 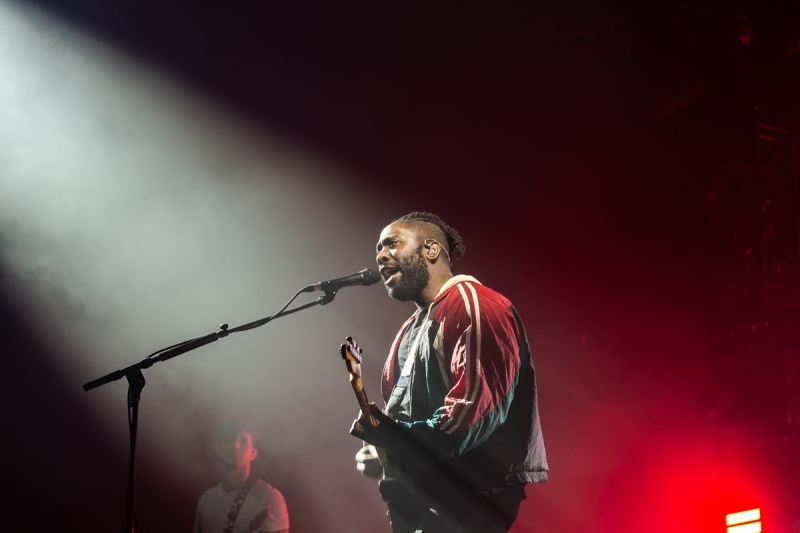 ‘This Modern Love’ was a clear hit, getting the first big sing along of the night. 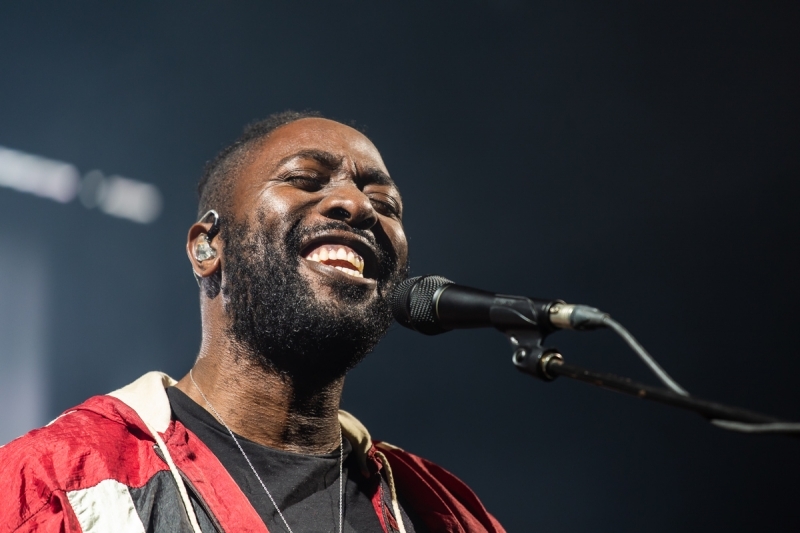 Okereke warned “things are about to get cray cray” before kicking into hit track Banquet, with his prediction on the mark as the song got a huge response from the floor and all the way back up into the stands. 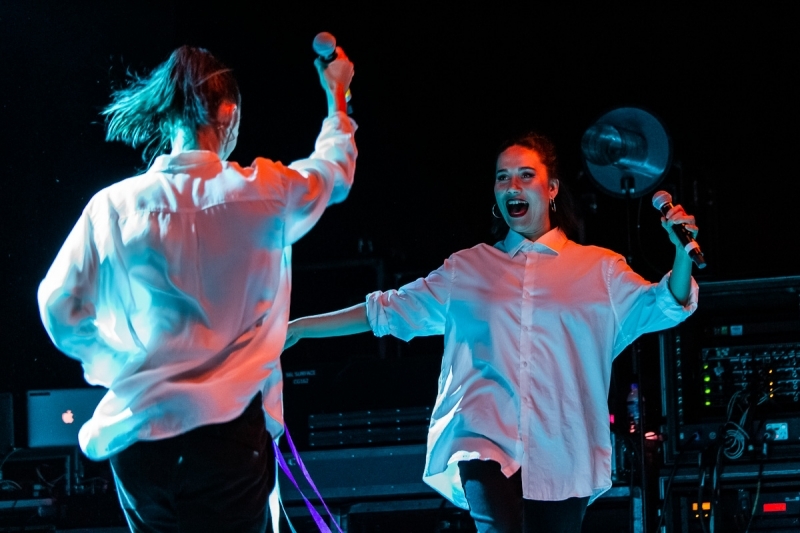 Three more big tracks, Positive Tension, Helicopter and Like Eating Glass perfectly rounded out the album portion of the night and vindicated the decision to play the album in this way. 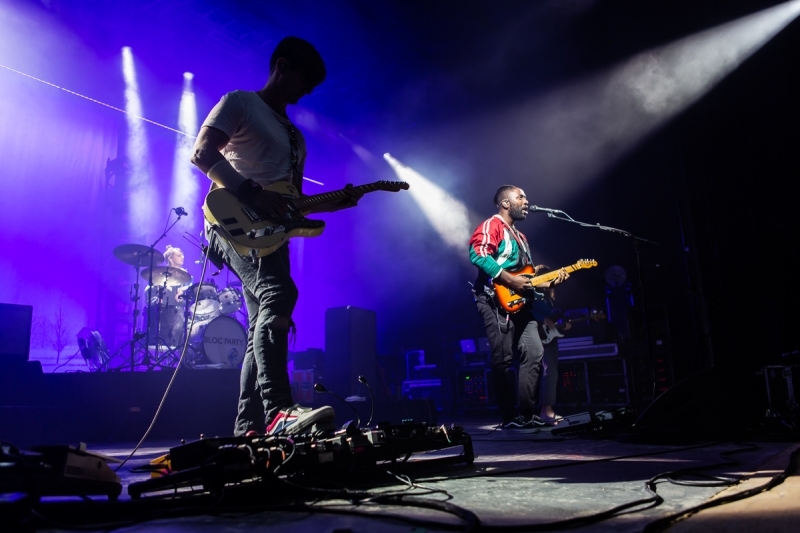 After a short break, the band returned for the encore to play some ‘rare bears’, including ‘Tulips’, ‘Little Thoughts’ and the ‘Love Within’. 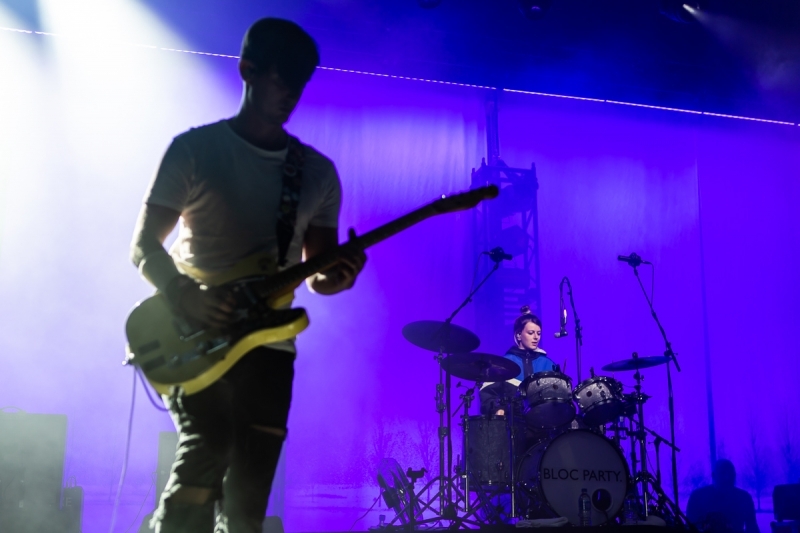 Musically Bloc Party were spot on and couldn’t be faulted, reproducing the sounds of the 2005 record perfectly as well as bringing a fresh energy to the entire venue. 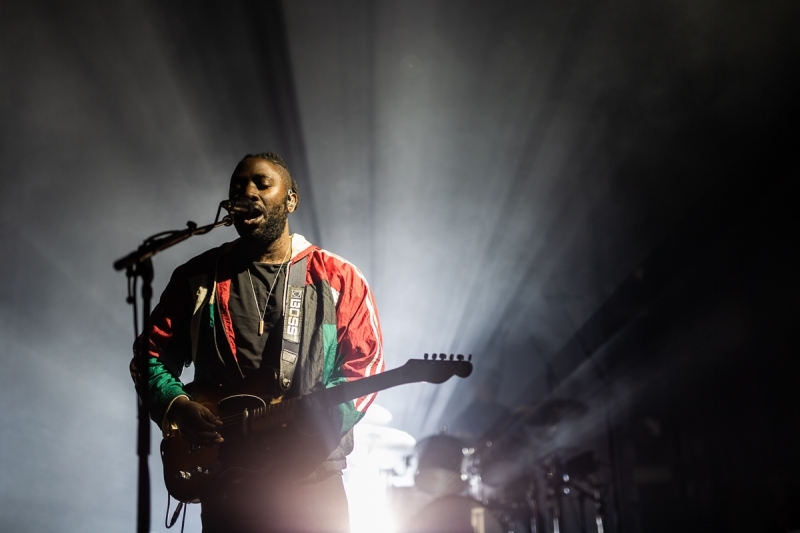 I think many in attendance this night would strongly disagree with Okereke’s quote that for bands touring older albums he didn’t “think that sort of thing does much good for artists”, instead most would argue that this show did nothing but good for the Bloc Party of 2018.